Insignificant means no consequences! Weeeee! 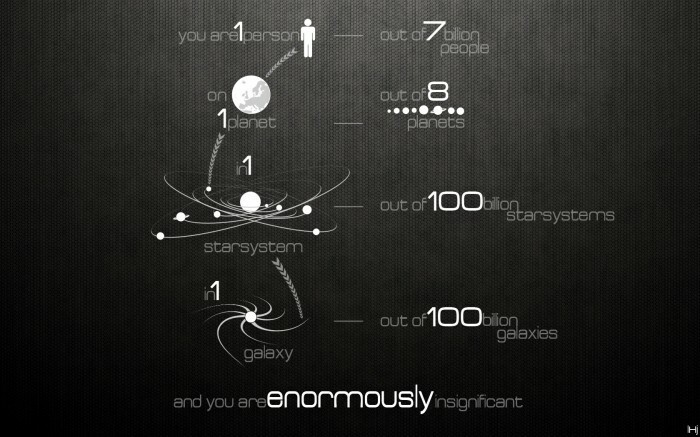 So for every 14+ galaxies, there is only 1 human. I’d say that makes us very precious. The human race would die out and the Earth will be absorbed by the sun, leaving almost no trace of our very existence.